After venturing out of the Harbour speed restricted zone we unleash the full power of the jet at nearly 75km/h, with a continual mix of 360 degree spins, fish tails and powerbrake stops. West Coast Jet Boating Perth, departing from Fremantle, Perth WA. The fastest, most powerful Jet Boat on the West Coast! 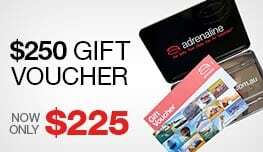 Experience Fremantle like never before with open ocean jet boating! After venturing out of the Fishingboat Harbour speed restricted zone we unleash the full power of the jet boat at nearly 75km/h, with a continual mix of wild fish tail spins and incredible power brake stops. Hold on tight during your jet boat ride as the fast pumping, continuous mix of music keeps your heart racing. Sit back and hold on as we push the throttle and the jet boat releases 25 tonnes of water per minute from the jet! Jet boating is extreme, it's loud, and it's loads of fun! The design is similar to those vessels utilised by the Malaysian Special Forces and the Hong Kong Water Police. (Minus the machine guns). OKIEDOKIE is powered with twin 440hp Yanmar Intercooled, Turbocharged Diesels and HAMILTON Jets. Your Perth jet boat ride is 20 minutes (Jetty to Jetty) of excitement and thrills. Trips run on the half hour from 11:30 AM through to 3:00 PM. Additional trips added on demand during peak season. Comfortable clothes suitable to the weather on the day - but please note you may get wet! Passengers are required to sign a liability waiver prior to boarding. Trips run on the half hour from 11:30 AM through to 3:00 PM. Additional trips added on demand during peak season. Minimum of 6 people required for the boat to run, maximum 20 on a boat. Good trip on the jet boat. Would like to see more acrobatic turns and doughnuts. An amazing experience...which we are keen to repeat. Thoroughly enjoyed my jet boat ride!! Best day out my partner and I could have asked foe and such an awesome experience, will definitely be doing this again! 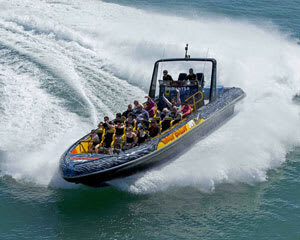 West Coast Jet Boat (Fremantle) is a fantastic experience and well exceeded my expectations. 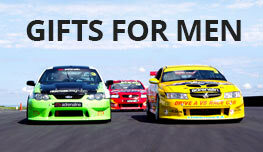 I will definitely recommend them to family and friends and return for another fun filled ride. Awesome!